A buttery gluten free graham cracker crust topped with layers of coconut, chocolate chips, butterscotch chips, and walnuts finished with condensed sweetened milk. 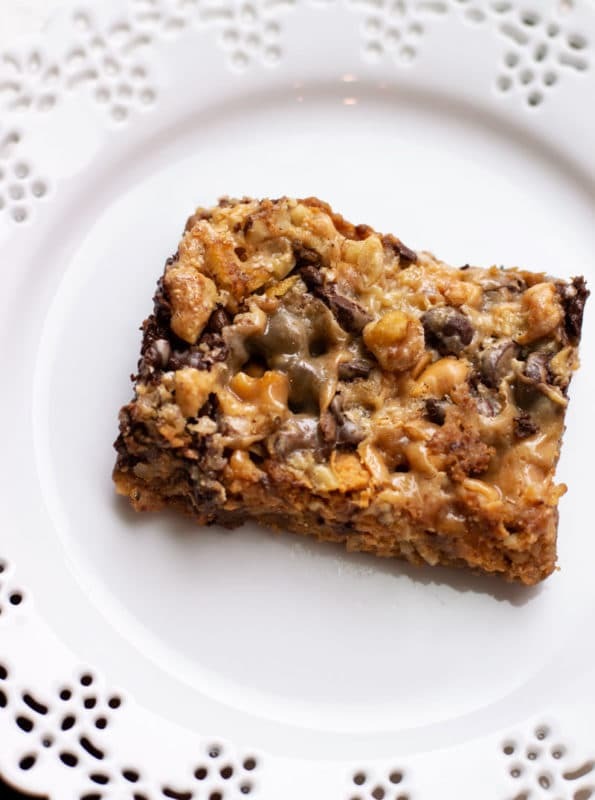 These 7 Layer Bars are a classic and EASY to make. That’s how I describe this 7 Layer Bar recipe. Apparently, this is a classic recipe that has been around for years. But I had never heard of these “7 Layer Bars” or also known as “Magic Bars” before. And I’m from the south. I grew up on recipes made with lots of butter and sugar! 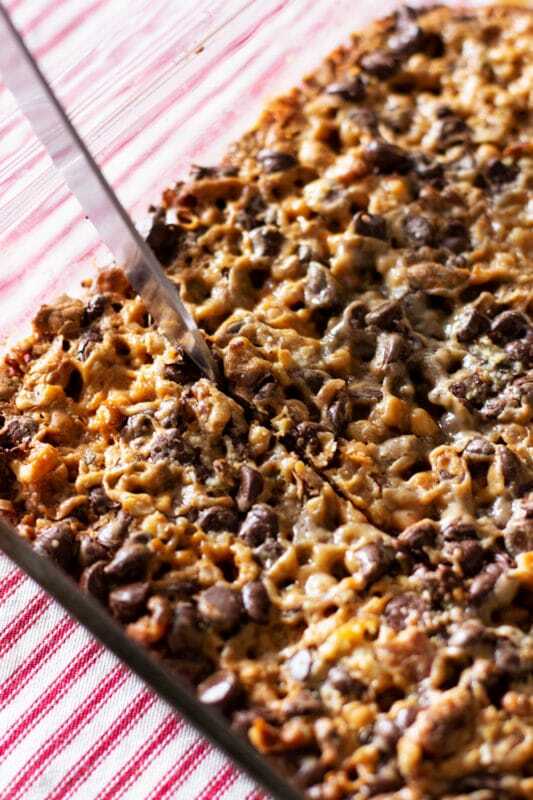 Here’s how my love affair started with these 7 Layer Cookie Bars. Over the years, we’ve become the neighbors who will let your dog in and out while you are out of town. No idea how we got selected, but we did and we, my husband, is happy to help the neighbors. Me? Not so much. I’m a little frightened of dogs and some of these dogs are big and they growl at me sometimes when I go in to let them out. So you can count me out when it comes to this neighborly duty. But hubby likes to help. One night after returning home, we found a container full of these cookie bars on our front door step with a “Thank You” note from one of our neighbors we helped out. After opening the container, I took one bite and immediately fell in love. It was love at first bite…no joke. And that’s how I started my love affair with this classic dessert. After eating almost the entire container (I’m so not kidding), I text my neighbor and begged for the recipe. Yes, I actually begged. THAT good. After she sent the recipe I decided I wanted to make a gluten free version of these classic 7 Layer Bars. And my family raved. They had no idea I had made a gluten free batch! Is there such a thing as gluten free graham crackers? YES! And I’m so thankful because I really didn’t want to make my own gluten free graham crackers from scratch! 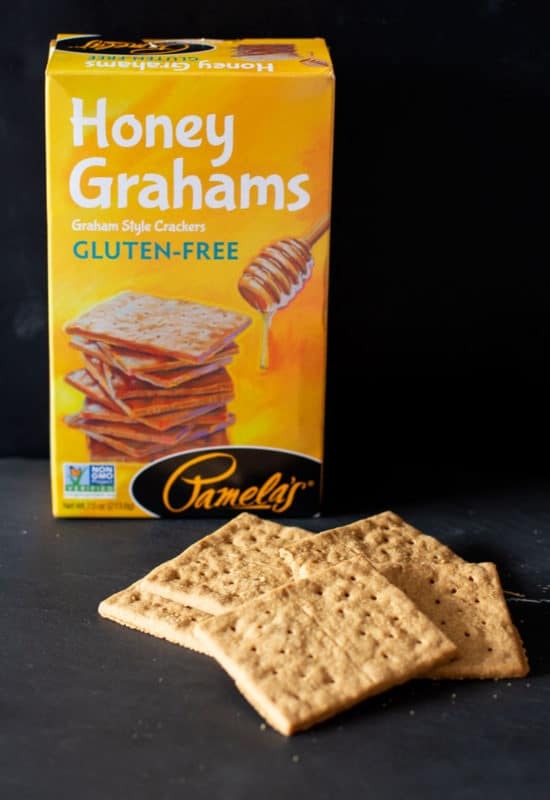 I bought Pamela’s Gluten Free Honey Grahams and they tasted DELISH! I bought these at Sprouts but you can also buy them at Walmart and on Amazon. Let’s dive into how to make this classic dessert recipe. Start by preheating your oven to 350 degrees Fahrenheit. While your oven is heating, empty the entire box of gluten free graham crackers into a gallon Ziplock bag and seal. Make sure there is minimal air in the Ziplock bag. 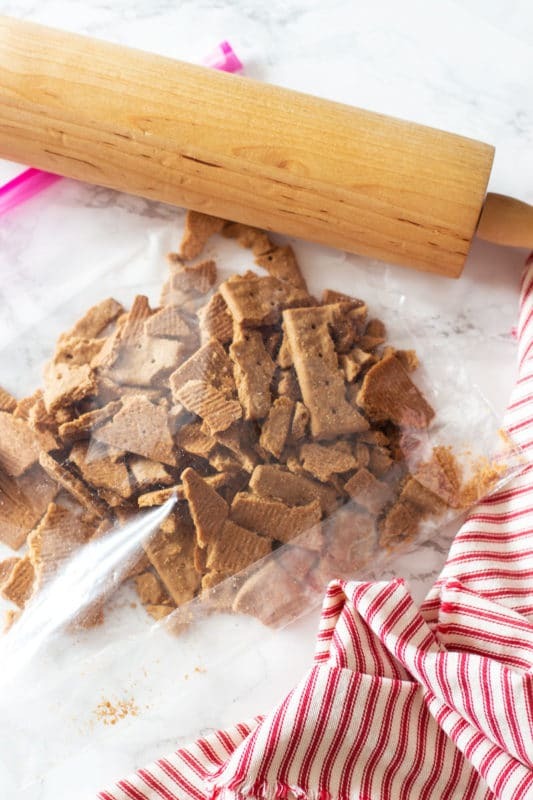 Take a rolling pin and roll over the graham crackers until they crumble into crumbs. One 7 ounce box of these gluten free graham crackers should yield 1.5 cups of graham cracker crumbs. Next, take your stick on salted butter and place it in a 13×9 glass pyrex dish. Melt the butter entirely and then remove the glass pyrex dish from the over and set aside. 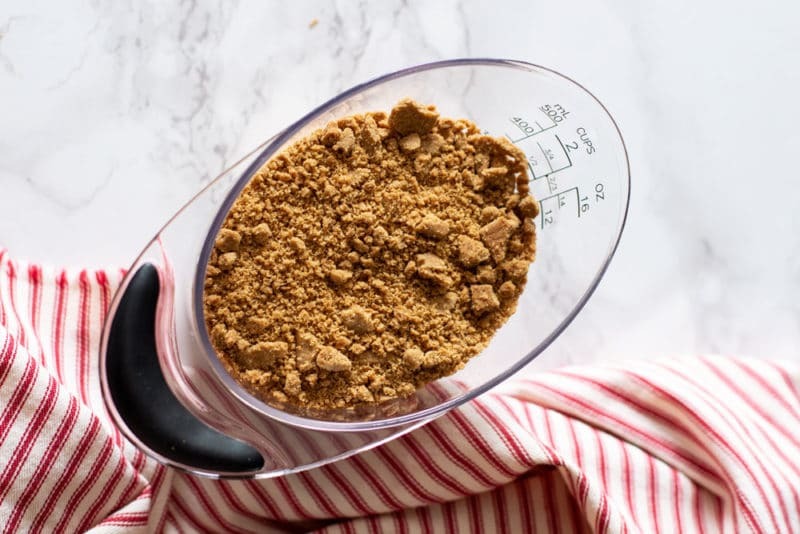 Pour the graham cracker crumbs on top of the melted butter and spread around until the butter soaks into the graham cracker crumbs. Spread evenly so that the crumbs are in a flat layer. 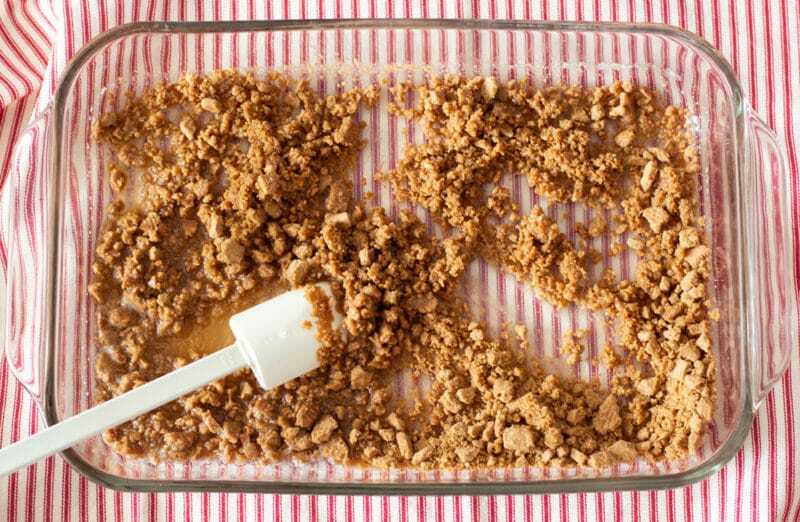 The graham cracker crumbs will be the crust of the 7 Layer Bars. Time to start layering! Take one cup of shredded unsweetened coconut and sprinkle evenly over the graham cracker crust. 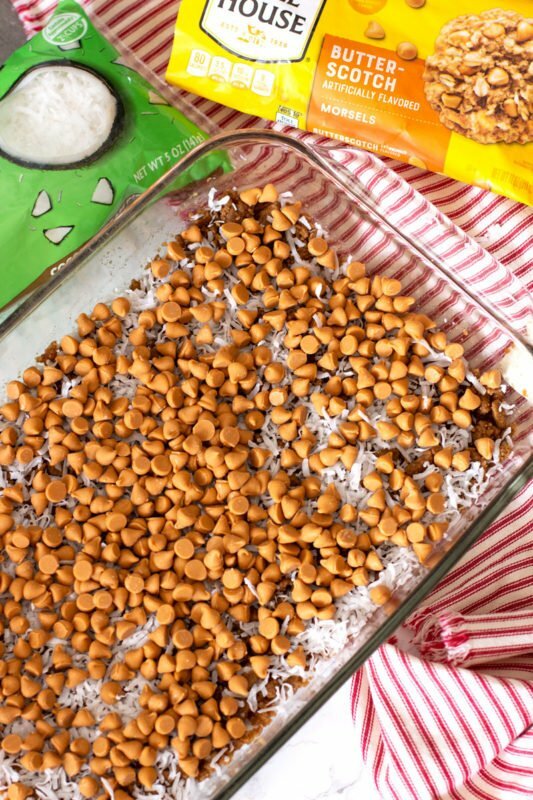 Add the entire 11 ounce bag of butterscotch chips and spread evenly on top of the graham cracker crumbs and shredded coconut. Now it’s time to layer on the semi-sweet chocolate morsels. Spread the morsels on top of the butterscotch chips. Make sure the ingredients are layered as evenly as possible. Add in the 1/2 cup of chopped walnuts on top of the layers. Slowly pour the condensed sweetened milk on top of the layers. After all the condensed sweetened milk is added on top of all the layers, spread the creamy mixture around with a spatula until it’s evenly coated. 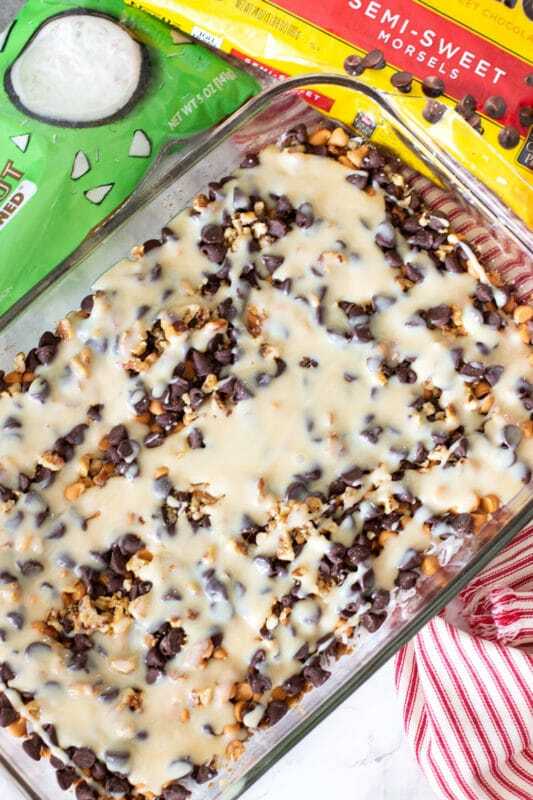 The condensed sweetened milk is going to seep down into each layer, making these bars irresistible. 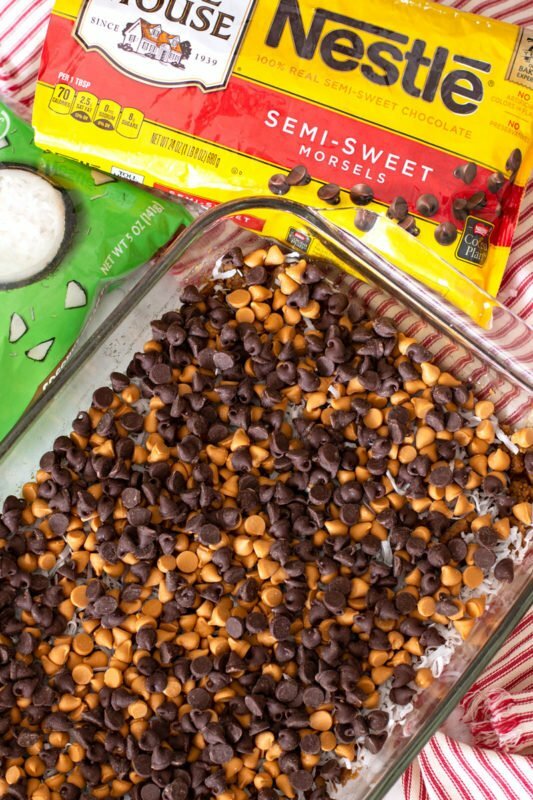 It’s now time to put these 7 Layer Bars in the oven to cook. 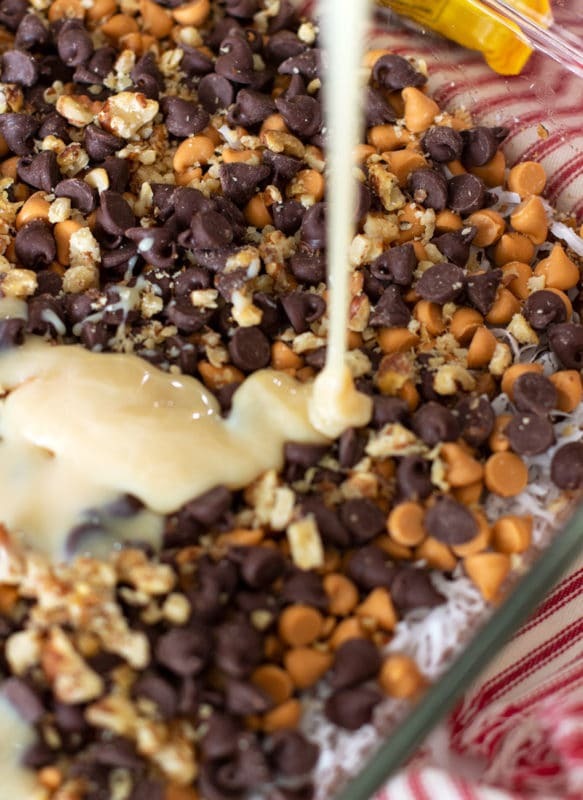 Doesn’t this pan of ooey gooey goodness look just amazing!! 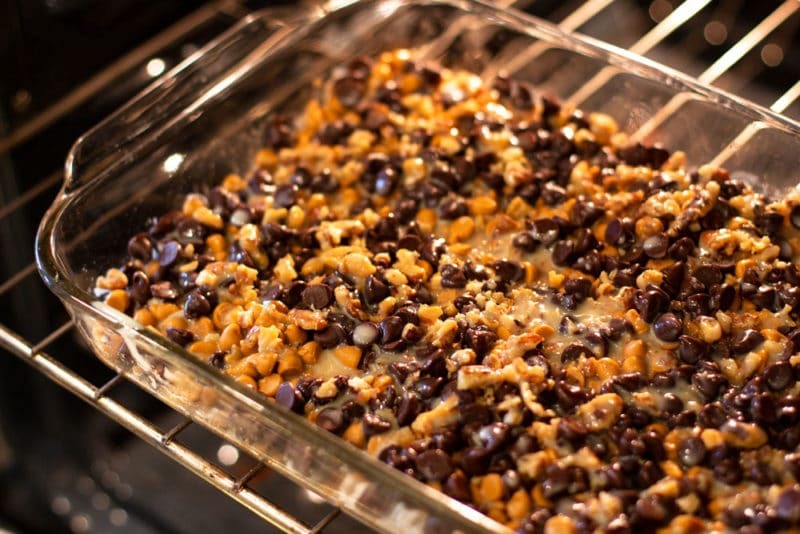 Hold on a bit longer because these “magic bars” need to cook for about 25-30 minutes. Once the cookie bars are done baking, let them cool before cutting them into bars. You want the ingredients to harden so you can serve them in a bar form. 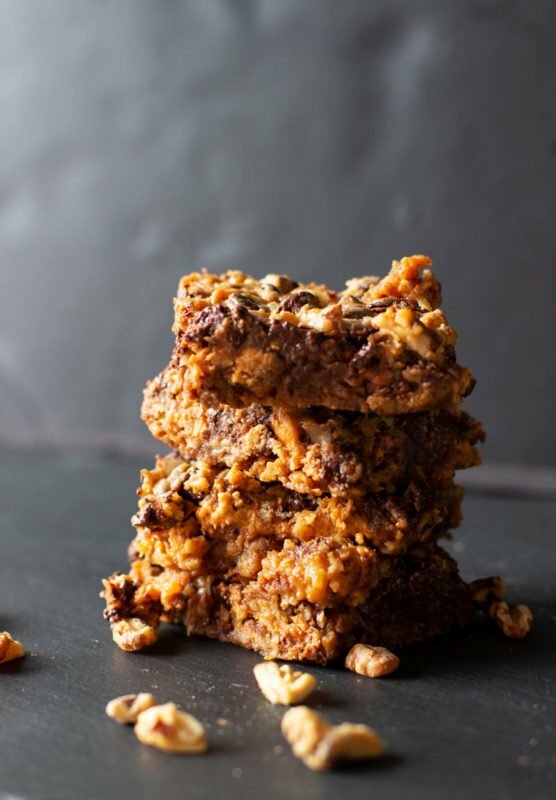 These bars taste absolutely heavenly, but they are also sweet and rich! To cut some of the sweetness, feel free to use a dark chocolate morsel instead of a semi-sweet. Oh…and grab a tall glass of super cold milk because that helps cut some of the sweetness, as well. This recipe is versatile. Feel free to substitute peanut butter chips instead of butterscotch chips and pecan chips instead of walnut chips. Not gluten free? No worries! Use your favorite graham cracker for this recipe. Make sure you use condensed sweetened milk, not evaporated milk. 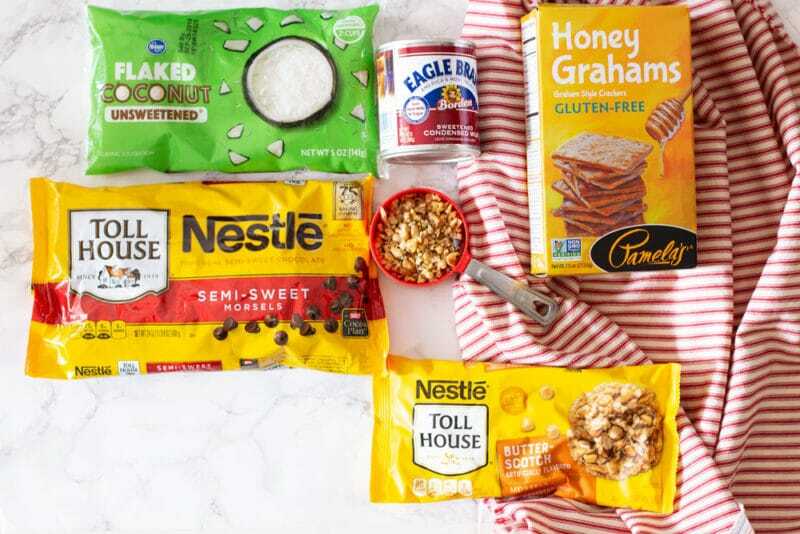 Just in case you are wondering, Eagle Brand Sweetened Condensed Milk is verified “gluten-free” per the established U.S. Food and Drug Administration’s criteria. Looking For Other Sweet Treats? If you have a sweet tooth like Mr. Mason does, you’re going to need more dessert recipes! Here are some of hubby’s favorites! Frozen Caramel Silk Pie – this is his ALL time favorite dessert recipe! And it’s no-bake! Red Velvet Cake – a family favorite…this dessert is perfect for Valentine’s Day or Christmas! Apple Pie – a classic recipe, this pie is delish! It has the most flaky and buttery crust! Halloween Candy Bark – No, you don’t have to wait until Halloween to make this candy! It’s good all year round and extremely versatile! HUNGRY FOR MORE? Subscribe to my newsletter to receive new recipes delivered to your inbox! Follow along on Facebook | Instagram | Pinterest | Twitter for all of the latest updates, recipes and content. 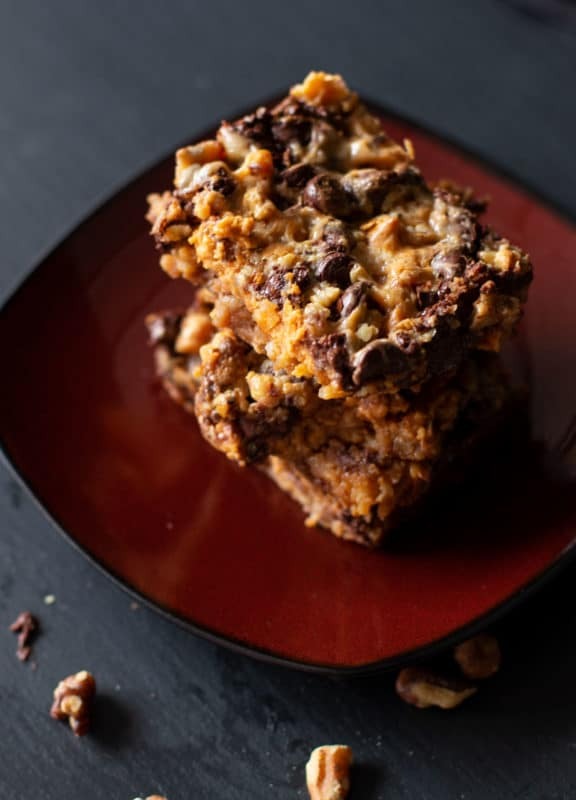 A buttery gluten free graham cracker crust topped with layers of coconut, chocolate chips, butterscotch chips, and walnuts finished with condensed sweetened milk. 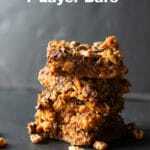 These 7 Layer Bars are a classic and are EASY to make. 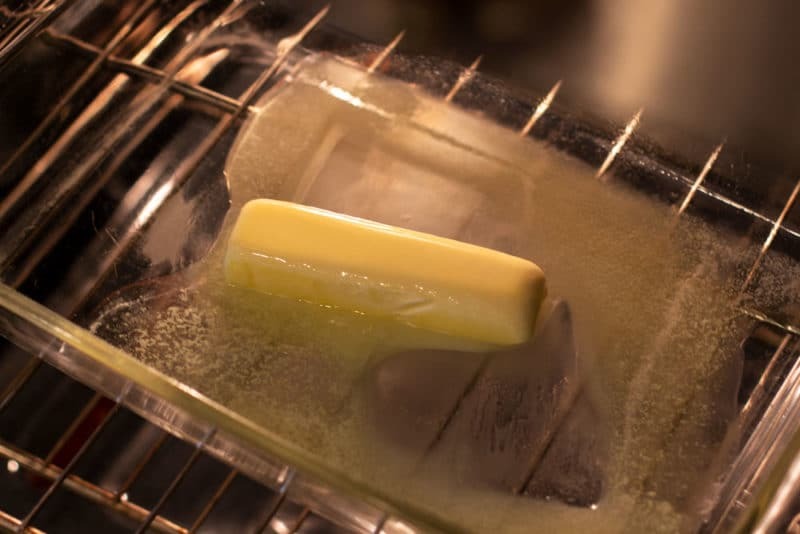 Melt 1 stick of salted butter in a 9x13 inch glass pyrex dish. 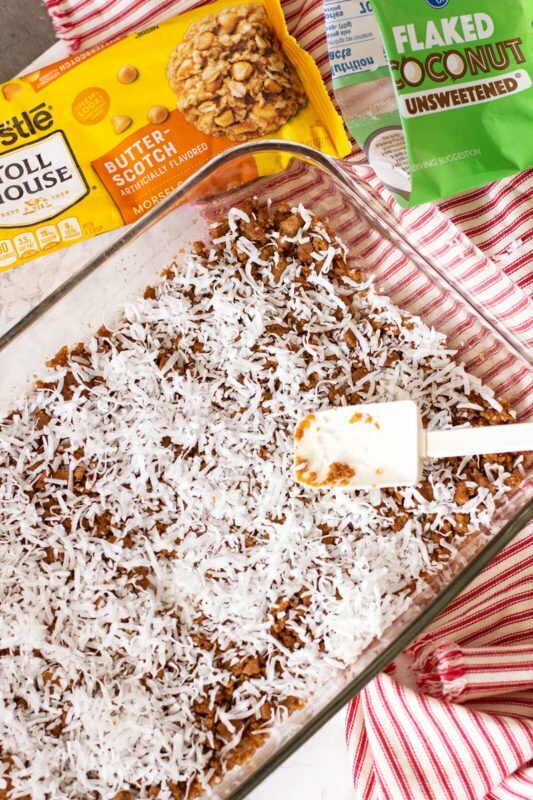 Crush the graham crackers into crumbs and evenly spread them into the melted butter to form the crust of the 7 Layer Bars. Add 1 cup of shredded coconut on top of the graham cracker crust. Then add the entire bag of butterscotch chips on top of the coconut. Add the entire bag of chocolate morsels on top of the butterscotch chips. Spread evenly. Evenly sprinkle on the chopped walnut chips. Pour over all 1 can of condensed sweetened milk and spread evenly. Once done, let the pan cool completely before cutting into bars.